The current Global Poker Index (GPI) rankings are undergoing little change with game results pouring down from ongoing poker tournaments. The 2015 European Poker Tour (EPT) Barcelona, for its part, has quaked the GPI Player of the Year ranking. While Anthony Zinno remains in the lead with 4,341.41 points, Connor Drinan found himself plummeted down to 3rd , giving way to Byron Kaverman for the 2nd position. By finishing 9th place in the  50,000 buy-in Super High Roller, Kaverman has moved over two spots to sit behind Anthony Zinno. Polands Dzimitry Urbanovich has jumped over one spot to secure 4th position. But it is Paul Volpe who remains the best player making a significant move forwards. He has final-tabled the  5,250 buy-in Seminole Hard Rock Poker Open, climbing over 5 spots to claim 5th position in the Player of The Year (POY) race. 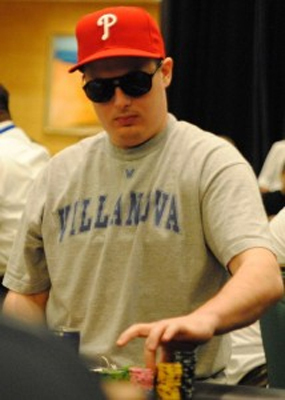 On the GPI Top 300 standing, Volpe now ranks 4th position overall. Jason Mercier and Steve O'Dwyer have also enjoyed a modest improvement in the POY race. Currently on the GPI Top 300s drivers seat, Jason Mercier has leapt over 7 spots to secure 6th POY position. O'Dwyer is 8th after climbing over 10 spots. Those dropping this week include Scott Seiver; he has shrunken down to 7th as he lost 4 spots. Speaking of the weeks Biggest Gains, Randy Pfeifer, Pablo Fernandez and Leo Fernandez are on the lead. Each of these poker pros has leapt over 100 seats. The EPT Barcelona  10,000 High Roller, along with the Macau Poker Cup 23 are among the major events that will significantly shake up the GPI rankings next week. This page has been viewed 6861 times.